WEST ORANGE, NJ — Burgeoning journalists in the "Write on Sports" (WoS) program at Edison Middle School recently had the opportunity to observe an interview with a local sports figure followed by an opportunity to interact with both interviewer and interviewee when WBGO News Director Doug Doyle and Seton Hall University women's tennis player Michel Matson paid a visit to the school. 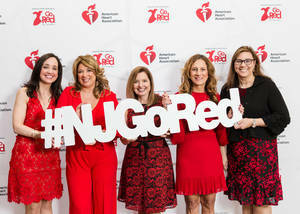 The event was organized by WoS marketing director Shannon Schmitt and Edison's WoS advisor Jennifer Blume. Doyle has been with radio station WBGO since 1998. Under his leadership, WBGO has won more than 200 awards from national and local journalistic organizations. He is also the host of the award-winning podcast, "SportsJam." "I've been involved with WoS from the beginning because I believe in founder Byron Yake and the program's mission to get kids excited about writing," said Doyle. 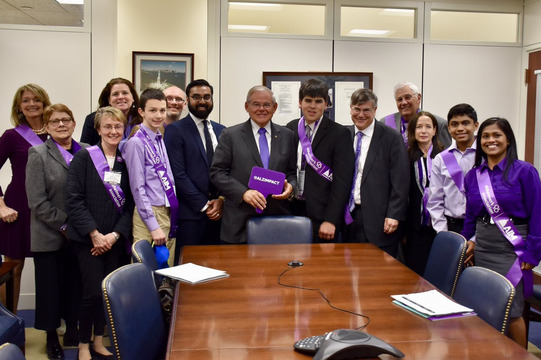 "Byron has done an amazing job in expanding this important program to other districts and states." Matson hails from Christ Church, New Zealand, and plays singles and doubles for the Seton Hall University Women's Tennis Team. "Seton Hall tennis player 'Mikey' Matson was another example of a terrific WoS guest," said Doyle. 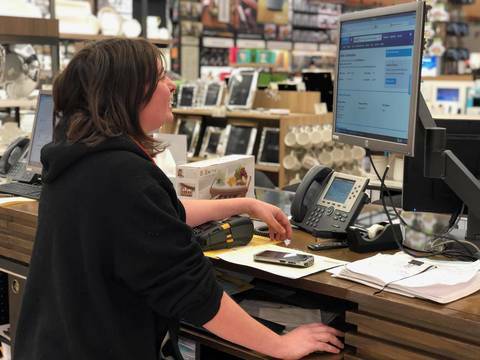 "She really connected with the students and you could feel the comfort level grow with each question the students asked. Matson was a fun and engaging story teller. Coming from New Zealand, students got a rare opportunity to find out not only about her sports career, but also her family and home." "The WoS instructors have done a tremendous job teaching kids about researching, gathering information, interviewing and most importantly, writing," said Doyle. "Many athletes have told me they wished they had a program like WoS in place when they were young. I thoroughly enjoy showing the students, in a real-life setting, how to ask the proper questions during a coach or player interview." 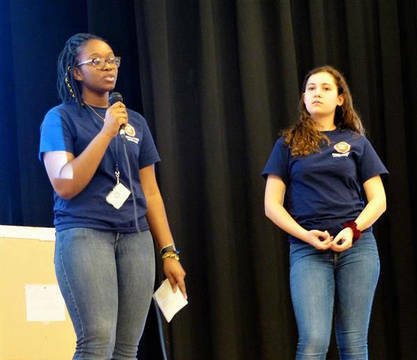 In addition to the club at Edison Middle School, West Orange middle school students can attend a two-week WoS summer program at Montclair State University. Participating students must be recommended by a teacher. 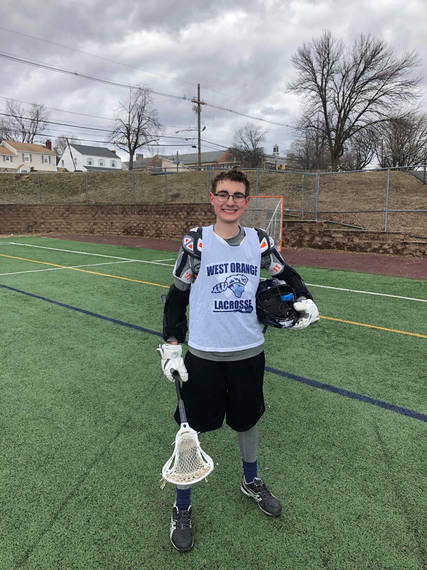 The free program offers them opportunities to work with athletes, put together articles and interviews, and learn from sports professionals like Doyle. 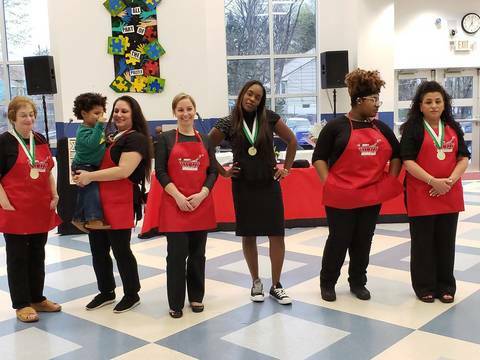 "The kids provide me with energy as well as hope that someday they'll be successful in whatever field they choose," Doyle said about why he offers his expertise to the program. "I want to be someone who plays a part in that. I'm proud of my long-time involvement with WoS." Learn more about the WoS program by clicking here. EAST HANOVER, NJ — Christos Kambolis has spent more than half the summers of his life at the West Essex YMCA’s Pioneer Trails Day Camp. When he aged out as a camper, Kambolis participated two summers in the Counselor in Training Leadership Development Program. 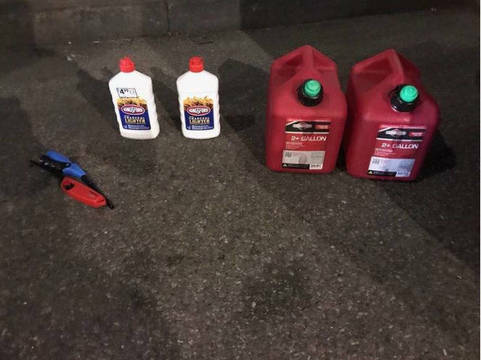 He volunteered last year, not missing a single day of camp in seven weeks. 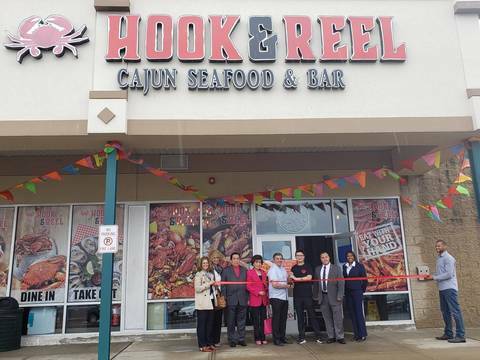 WEST ORANGE, NJ — Hook and Reel, a new Cajun seafood restaurant and bar located at the Essex Green Mall (495 Prospect Avenue) in West Orange, celebrated the opening of its first New Jersey location on Monday with a ribbon cutting ceremony. 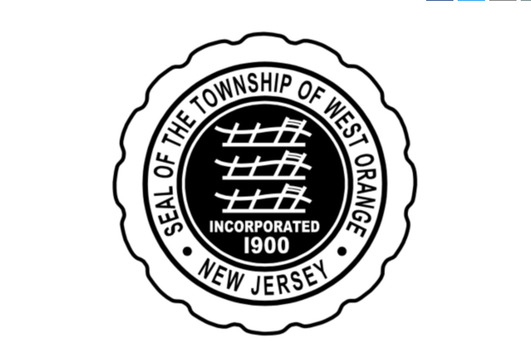 WEST ORANGE, NJ -- The West Orange baseball team came through with its first victory of the season, 6-1, on Wednesday. Sophomore left-hander Malachi Jones delivered the key hit and the big pitches. Jones pitched a three-hitter for West Orange, and his three-run home run highlighted a five-run fifth inning that gave the Mountaineers a 6-1 lead. 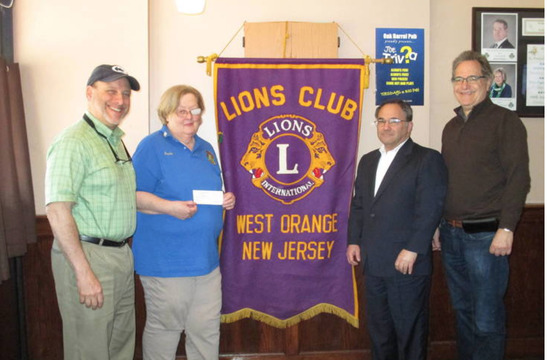 WEST ORANGE, NJ — Since 1953, the Lions Club of West Orange has been recognized throughout the township for its service to the blind and visually impaired. As part of the organization’s ongoing fundraising efforts, the Lions Club will host its annual Spaghetti Dinner on Wednesday, April 24, in the West Orange High School (WOHS) Tarnoff Cafeteria from 5:30 p.m. to 8 p.m.
WEST ORANGE, NJ — Advocates from the Nikhil Badlani Foundation Youth Advisory Board (NBFYAB) recently presented an interactive information session on traffic safety to middle school students at Liberty and Roosevelt Middle Schools.